The recent changes in the UPSC Civil services examination widely received criticism. against civil service aspirants from non-Hindi speaking regions of the country. “I apprehend that these retrograde changes brought in by the UPSC without adequate consultation with State governments are undemocratic and unilateral and will have the effect of denying the youth of Tamil Nadu their fair chance of representation in the civil services, and ultimately, hamper the governance of the country,” the letter to the Prime Minister read. The letter states that there are four major changes that would affect the chances of Rural Aspirants adversely who haven't enough exposure to English. First of all, she said, aspirants who completed their schooling in Tamil but shifted to the English medium for their graduation, used to have the option of taking the examination in Tamil. This option has now been dropped. Only those with a graduation in Tamil medium would be allowed to write the paper in that medium. However, there is no such stipulation for candidates who wish to appear in the Hindi medium. This, the Chief Minister said, discriminated against not just Tamil-speaking candidates but also against all candidates from non-Hindi speaking states and in particular against rural students from marginalised sections who would have had their mother tongue as medium of instruction till school level. The second objectionable change, the letter said, was that candidates could opt for literature of a particular language only if they had studied it at the graduation level as the main subject. This was discriminatory and illogical since such a stipulation has not been made for any other optional subject, she pointed out. Also, unless there was a minimum of 25 candidates opting for a particular language medium, those candidates will have to write the examination in English or Hindi only. The fourth change was to remove the compulsory qualifying paper in an Indian language and the inclusion of an English composition and précis writing section as an evaluated portion of the essay paper instead of the qualifying English paper. “This change also clearly favours urban, English educated candidates and acts against rural students belonging to disadvantaged sections,” the Chief Minister added. 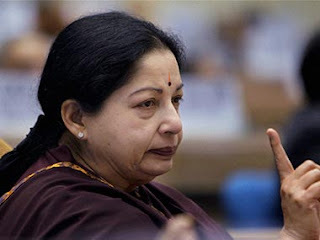 Jayalalithaa observed that the changes made by the Union Public Service Commission was violative of the Right to Equality in Public Employment enshrined in Article 16 of Constitution. All regional languages should be accorded equal status in a federal structure. “Aspirants to the country’s civil services should have the option to take the examination in any language, particularly their mother tongue, listed in the 8th Schedule of the Constitution,” Jayalalithaa said. Therefore, the Chief Minister sought the immediate intervention of the Prime Minister to urge the Union Public Service Commission to reconsider these invidious, unfair and discriminatory changes made in the scheme of the civil services examination.